Days before the Galaxy S10 is expected to be announced, we got our selves a pretty good look at the duo. Now, WinFuture is back again with another leak, showing off what seems to be the ‘iPhone XR’ competitor. The leak shows the Galaxy S10e, Samsung’s affordable solution to the S10 lineup. 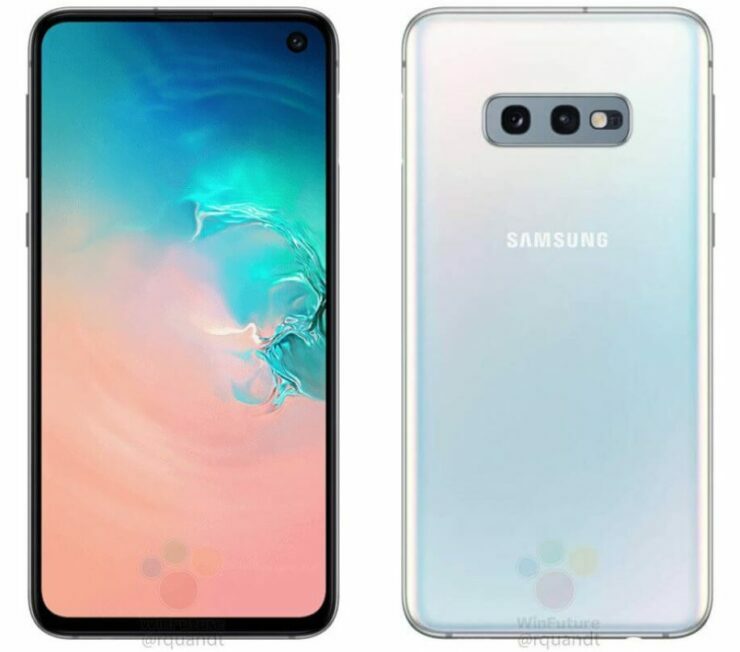 Yesterday, we got the best look to date of the Galaxy S10 and the Galaxy S10+ and now, WinFuture has more to offer. Let’s dive in to see some more details on the device. 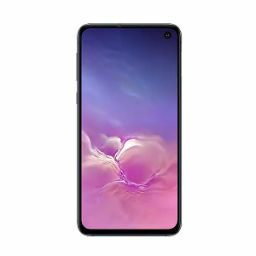 Samsung’s Galaxy S10e is also referred to as the ‘Galaxy S10 Lite’ and it will debut alongside the big boys from the company. All devices are to be unveiled at Samsung’s Unpacked event later this month. The Galaxy S10 lineup has been running around in the rumor mill for quite some time and today’s renders bolster previous claims on how the device looks. 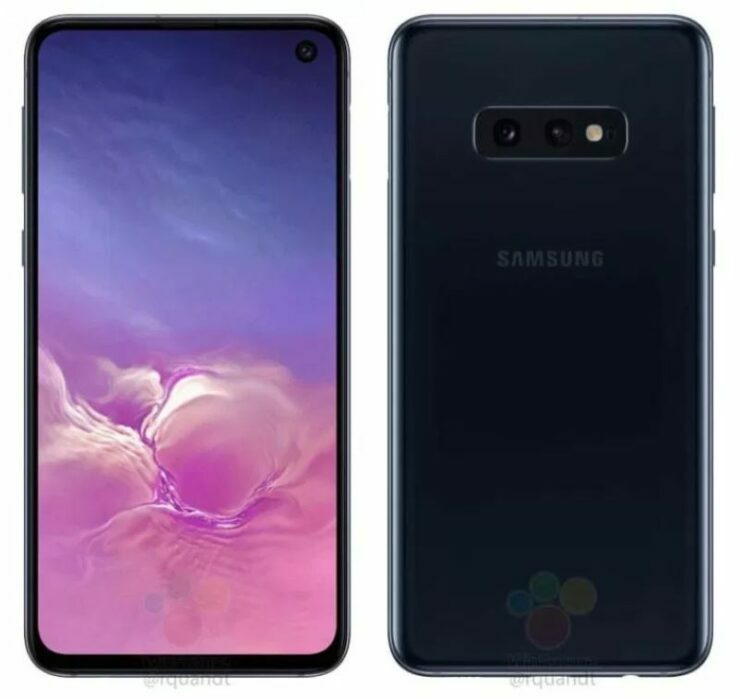 As can be seen in the leaked renders, the Galaxy S10e will not feature a third camera lens much like the Galaxy S10 and the Galaxy S10+. However, the device will still feature the highly hyped “hole-punch” display and retains the cutouts for the front-facing camera. Furthermore, it remains to be seen if the Galaxy S10e will be equipped with the same camera sensors as that of its higher-end models. Nonetheless, dual-lens camera setup is still a welcome addition to perform necessary camera features. One of the major differences between the Galaxy S10e and the higher-end models are the bezels. 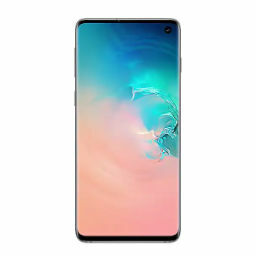 The ‘affordable’ version tends to show bezels which are larger in comparison to the Galaxy S10 and Galaxy S10+. It seems Samsung is following Apple’s footsteps to sport bigger bezels in its affordable segment. Altogether, we can presume from the leaked renders that the Galaxy S10e features three buttons. However, take note that Samsung has implemented fingerprint recognition on one of the sides of the device, replacing the Power button. The remaining three buttons are volume rockers and a Bixby button underneath. This states that the Galaxy S10e would not feature an in-display fingerprint sensor. Lastly, all color variants can be seen: “Prism Black,” “Pearl White,” and “Prism Green.” Possibly, the “Canary Yellow” color seems to have missed the leaked renders. 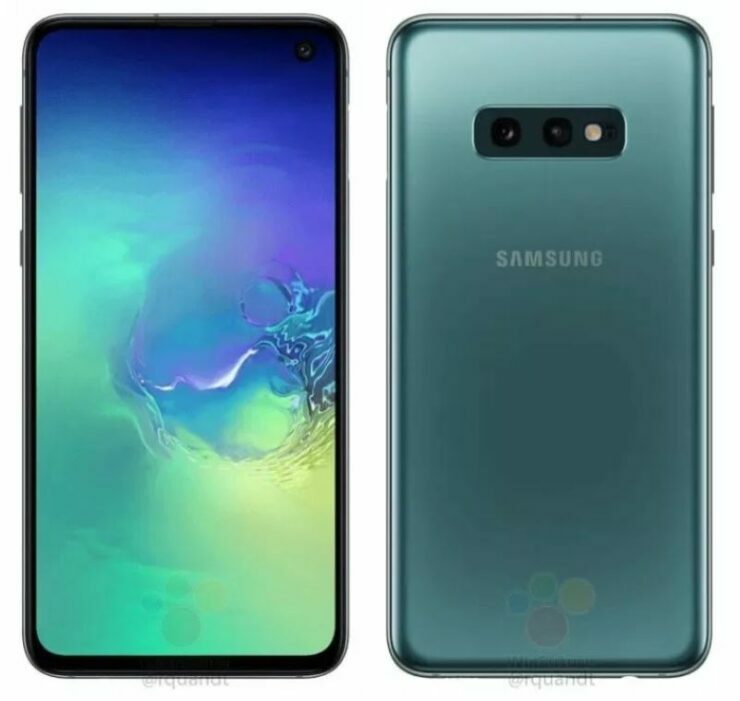 As for specification, the Galaxy S10e will feature the same 6GB of RAM and 128GB of storage capacity as the baseline model and house a 3100 mAh battery. There will be more to the story, so be sure to stay tuned in for more details on the matter. This is all for now, folks. What are your thoughts on the subject? How would you stack Samsung’s Galaxy S10e against Apple’s iPhone XR? Share your views with us in the comments.